We wish to serve as an exemplar within Saudi and beyond for the successful and responsible development of the hospitality business and for outstanding hospitality service provision, and in doing so become the unequivocal partner of choice for any local, regional or international partner in Saudi; the number one choice, by far. Partnerships lie at the heart of our business; our success is dependent upon how compelling we are to potential partners and how well those relationships, once established, work. We partner many diverse parties: government, international hotel brands, employees, tourist authorities, local communities and so on and for each we seek to shape the partnership so as to be the perfect combination of vision, skills, capabilities and resources such that it delivers the maximum shared value. For these different combinations to succeed each party must deliver to the highest standard and to shape its contribution to best match the other; that is, there are obligations on both sides: we never cease our efforts to improve, we honour our partners, but we also demand that they meet exacting standards. Based on our expertise in hotel operations and asset management, we endeavored the residential community industry by developing, and managing a selective portfolio of high-end projects with hospitality-inspired services. Through its dedicated brand, Dur communities, Dur is introducing a unique concept - the integrated residential communities - developed in accordance with our clients’ aspirations. Dur Communities portfolio includes luxurious residential projects strategically distributed across the main cities of Saudi Arabia.Equipped with professional facility and property management services, our Residential Communities are being recognized for quality and excellence standards provided by our professional and experienced team, supported by the adoption of the best international operational and technological services and systems. Conveniently situated in the heart of Riyadh’s exclusive Diplomatic Quarter, DARRAQ comprises over 400 luxurious, premium residential units. These delightful 2 to 5-bedroom properties represent the height of lavish, modern living, and are amongst the most eagerly-desired residences in the Kingdom. 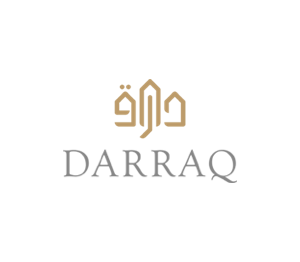 Darraq features excellent public facilities, parks, sports clubs, schools as well as private wellness and recreation centers.